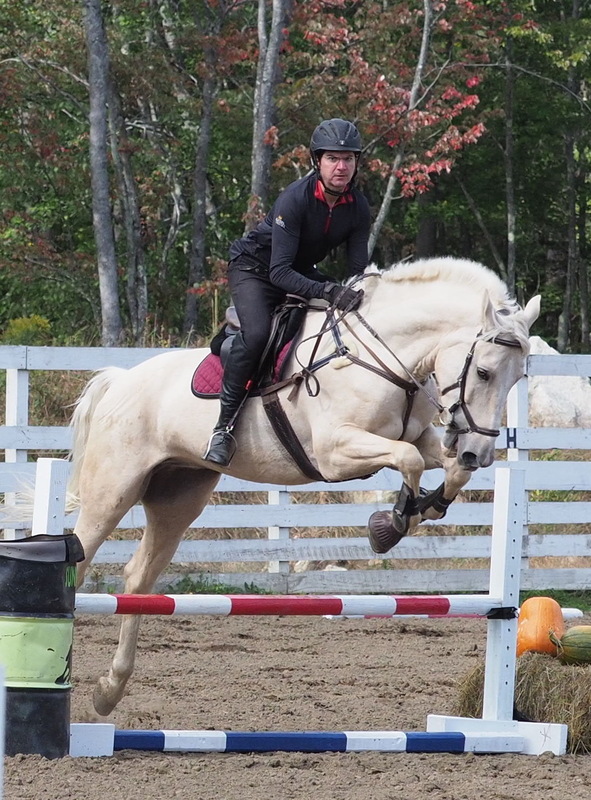 Even though I told my husband to go slow and work on jumping skills and not trying to win, Levi was still in his whole speed racer mode and clobbered the next jump. 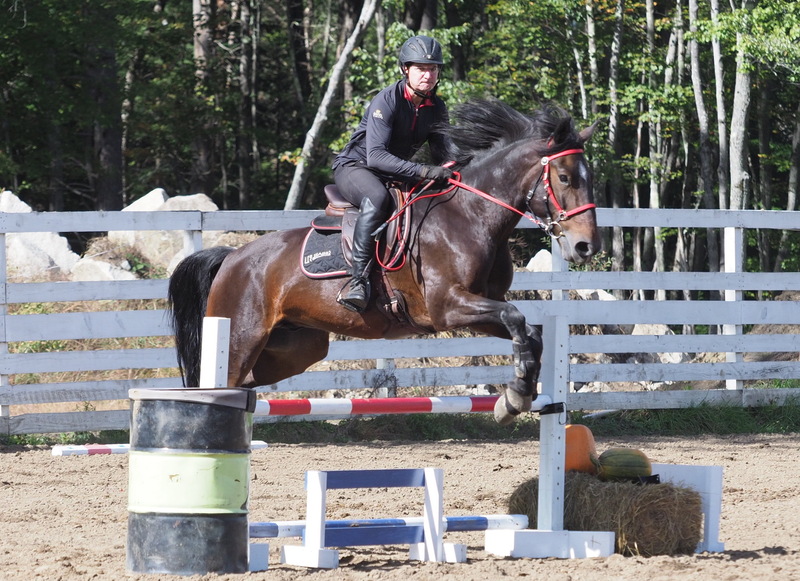 I know that Levi needs work on forward and speed, but he still loves to get as close as possible to the base before jumping and he can’t always contort himself to clear when the jumps get bigger. While the lower level courses were super easy, the higher level courses had bending lines and other questions. 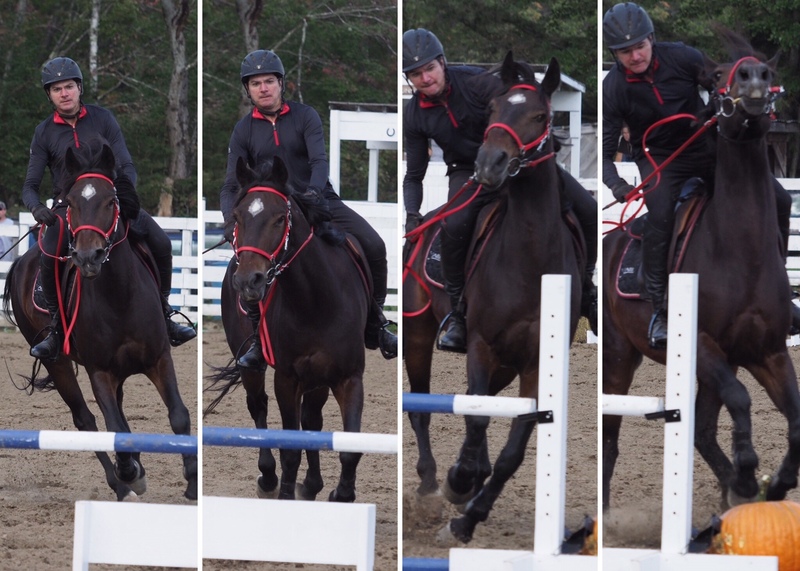 The lines from 3 to 4 with #1 in the way was a little tricky and my husband went around #1 instead of turning before it which left them with no room to straighten out before jump #4. A quick circle and they were back for Eugene to snooze over it. 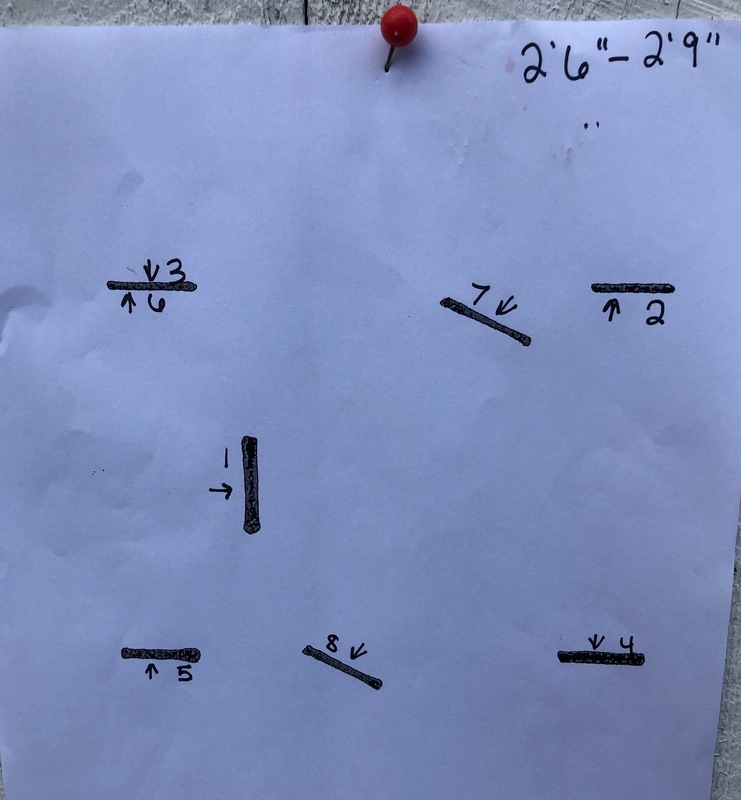 They circled and represented and it was fine, but then they went around to #5 and Eugene seemed to have learned that refusing was an option and pulled another. 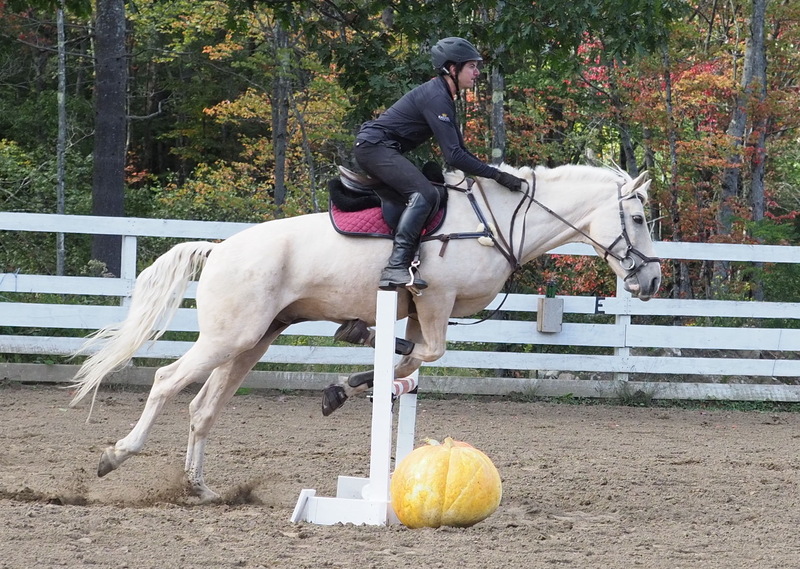 They finished up the rest of the round without any issues, but obviously didn’t qualify for the jump off. 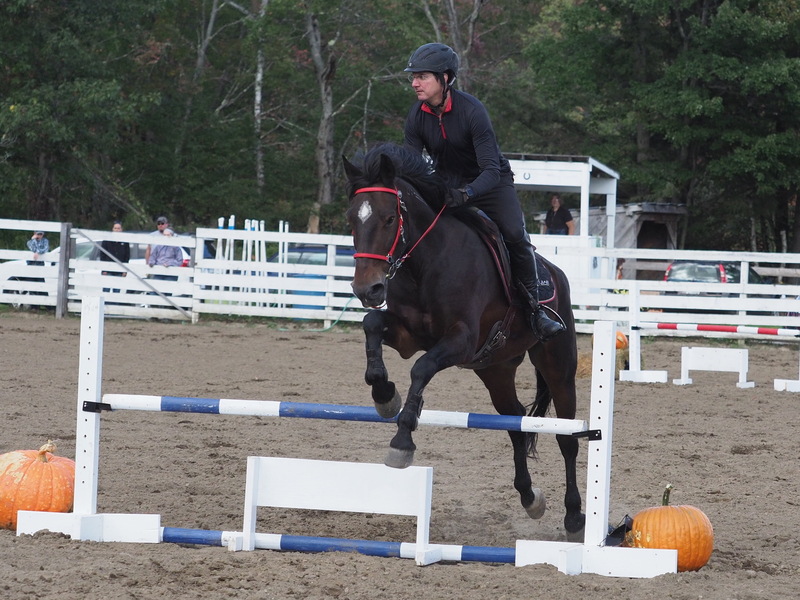 The other girl in this class didn’t qualify for the jump off either and she didn’t do the first class (speed only) and thus my husband won champion because he was the only one to win a ribbon. 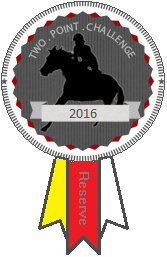 Next up was he 2’9″-3′ division, which was a division of one! The first round went well; they even got over their bogey jump on the first try. Despite all the issues at 2’6″, Eugene went in and rocked around the 2’9″ course without an issue. 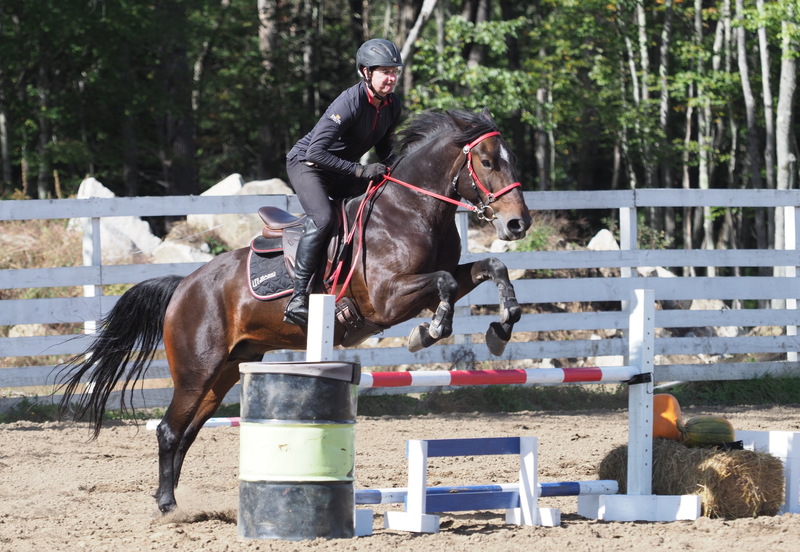 Although the 2’9″ course was different than the 2’6″ course, as with the other divisions, the second course was the same as the first, just with an added jump off. 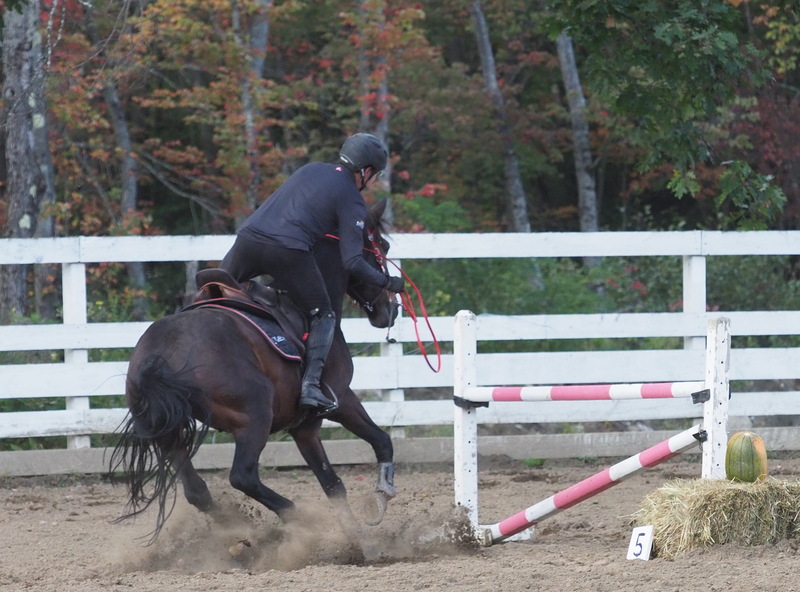 Despite having done that course just minutes earlier, my husband proceeded to go off course by jumping the wrong jump. 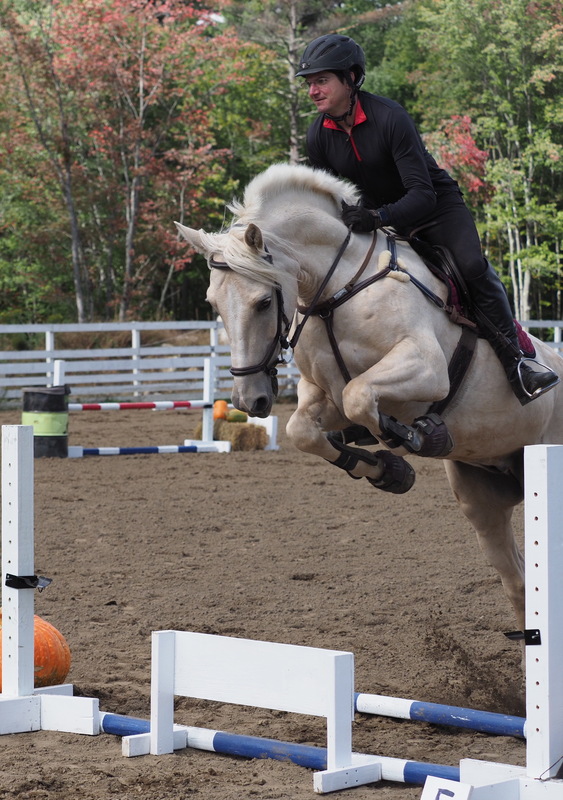 Because it was a schooling show, they let him finish the round, but no jump off. I couldn’t believe he got lost. It was the exact same course as the previous round! It didn’t matter though; they still go to practice the course and they even won champion for being the only one in the division. Overall, it was a good schooling experience for everyone. How on earth does Levi even do that with his body? His hoof is touching his belly!!! 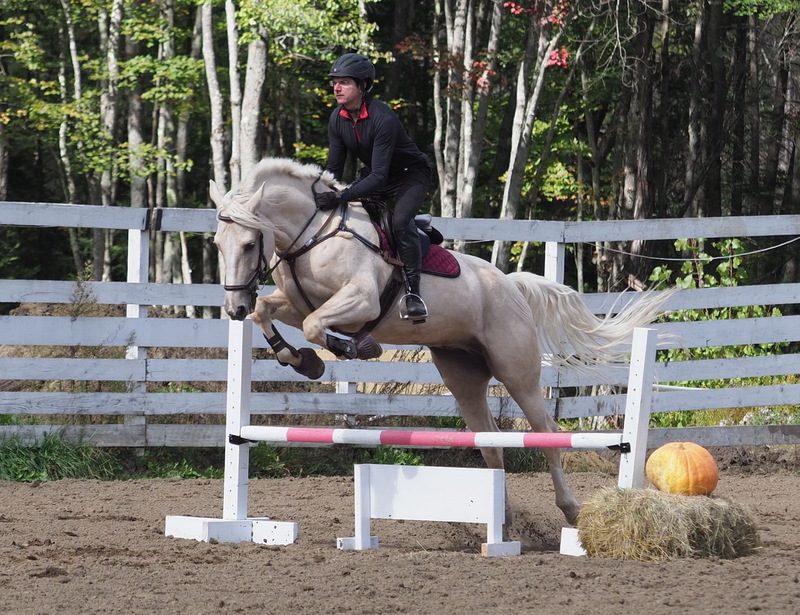 He needs to realize jumping like a normal horse is so much easier…LOL!!! Eugene makes me want to get a mustang. He is just the coolest guy. Eugene is the best! 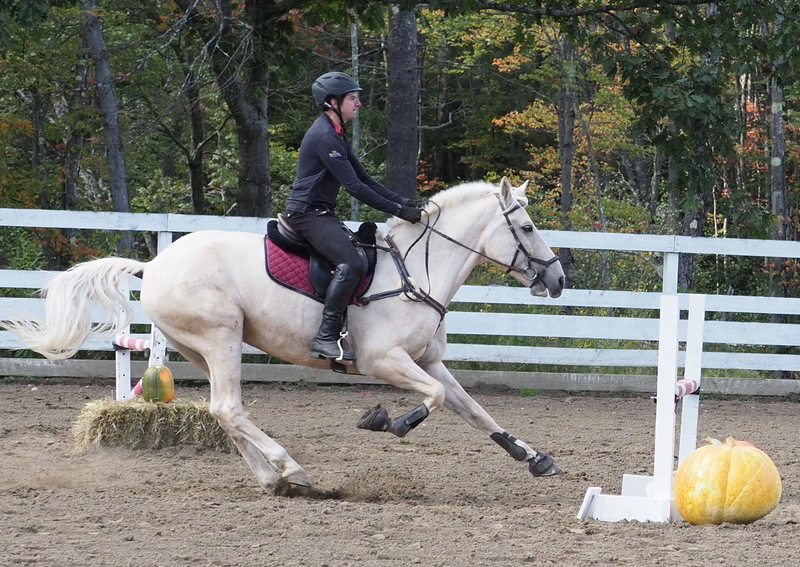 Levi is the most awkward horse I’ve ever ridden. It frequently feels like he’s forgotten that he has legs let alone how to use them. hahahah omg that’s great that he got lost in the 2nd course. well done. I honestly wasn’t even surprised. Oh Levi. I can only imagine if you and Carmen got together! So much drama. Did you notice any difference in these shows compared to those in California? Just curious. 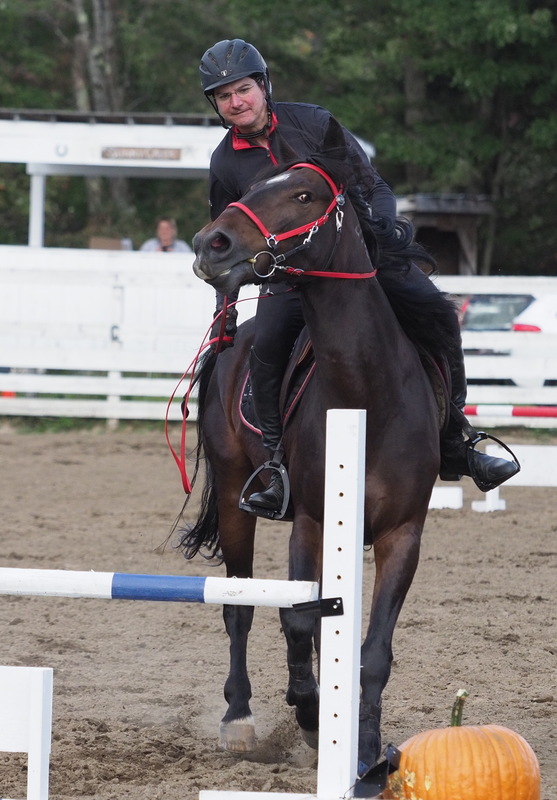 Too soon to say based on one schooling show and one 1 day schooling event (next post). So far the difference for eventing is the terrain change. The schooling show seemed about the same as some CA schooling shows I’ve been too. I’m very curious to see what the bigger shows are like. It is something I’m thinking about each time we go someplace. Levi is never boring, you’ve got to give him credit for that. Oh he’s a very amusing horse. There’s no doubt of that. 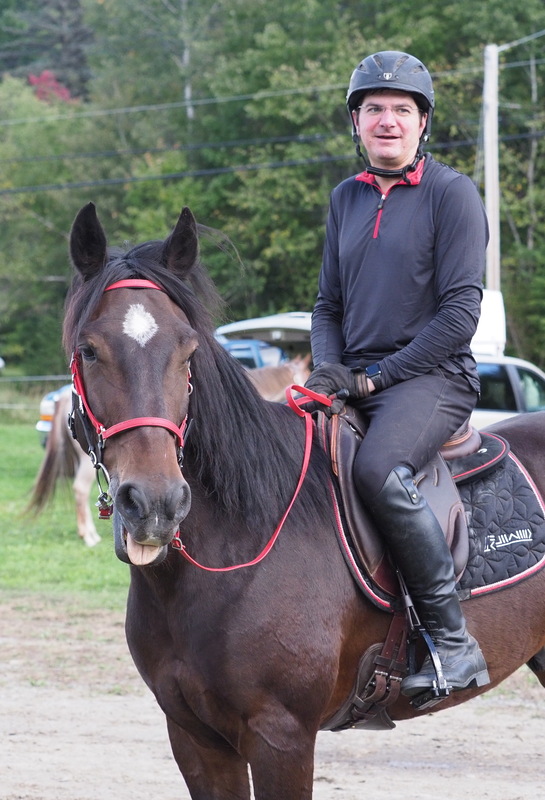 You should totally get a Mustang, but first maybe ride Remus. I feel like your house and barn are more under control than mine. We might have gone to a show, but we did it by not bothering to do the things we should be doing. 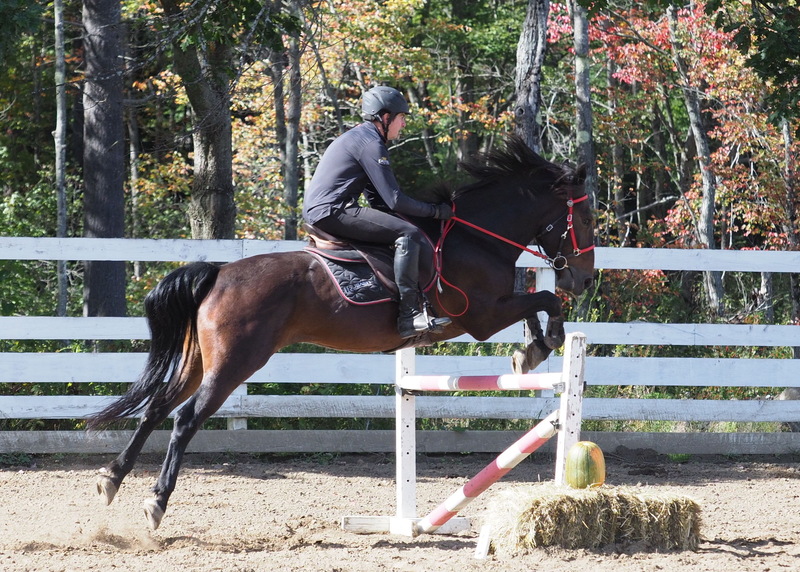 He’s learned a lot for never haven ridden before a few years ago. Levi either jumps a 10 or -5. There is no in between with him! Silly pony. I’m glad Eugene got over that whole running out is fun thing by the next division! No one needs that habit! He looks great otherwise though! Definitely a good day of practice for everyone. Levi has the potential, it’s all about how he choses to use that potential. Can Levi’s show name be Legally Blonde? Because so much potential – but kind of used to getting by because he’s beautiful lol. I just watched that movie, can you tell? Yes! This is brilliant. He’ll need a bunny costume at Halloween and his own personal chiuhua! The only problem I foresee is I own no pink gear. Your husband is looking up in every picture, so there’s that!! Sounds like a good learning experience all around. It was a perfect learning experience. 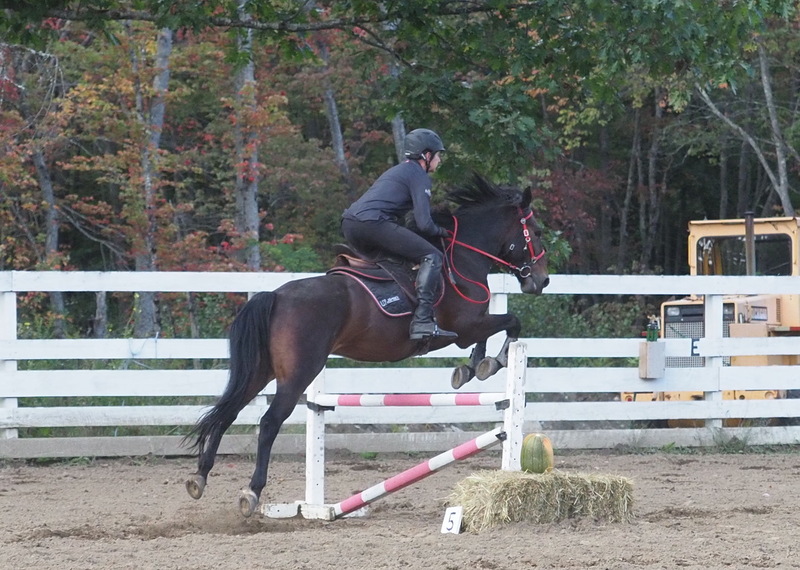 That first jump photo was pretty scary, but I was super impressed with how balanced and secure your husband looked. Eep! 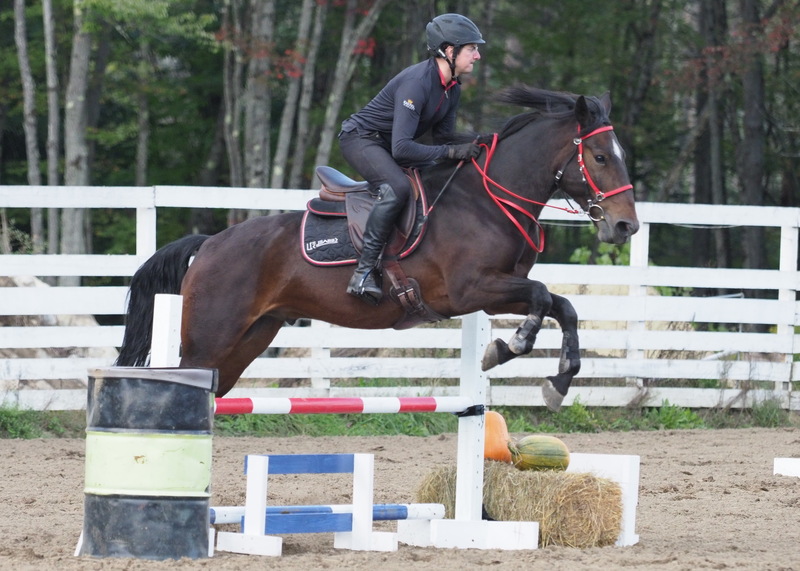 Levi is always good for an awkward jump photo.